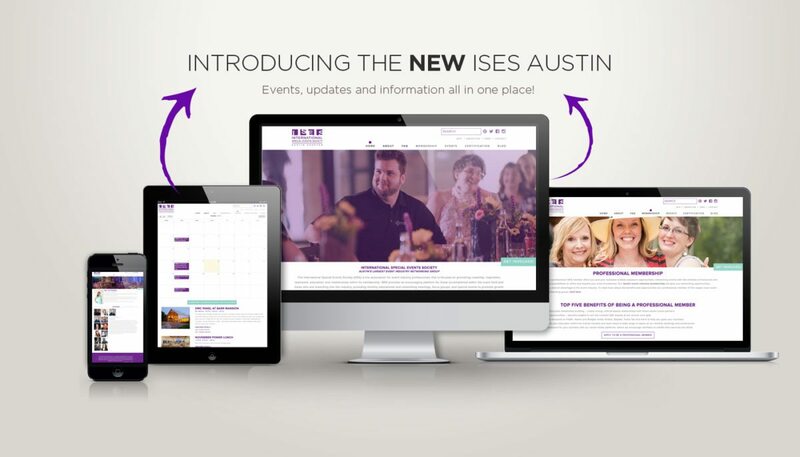 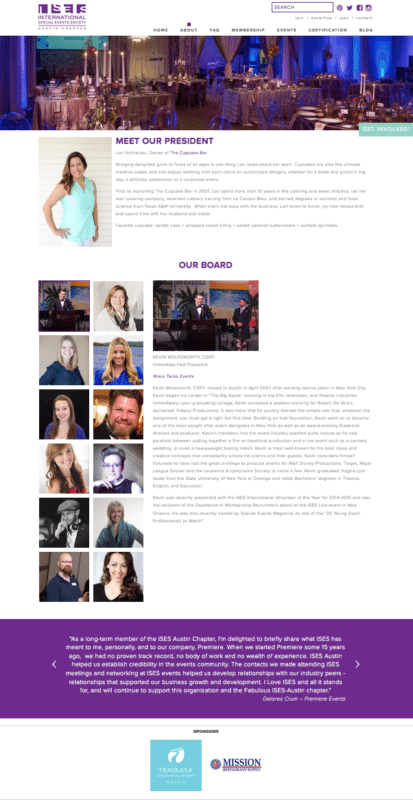 We were extremely flattered to be selected as the new designers and developers of the ISES Austin (the number one ISES chapter) Website. 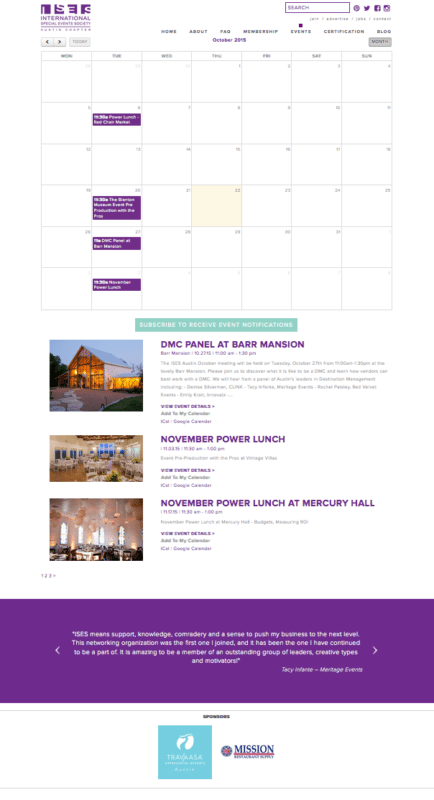 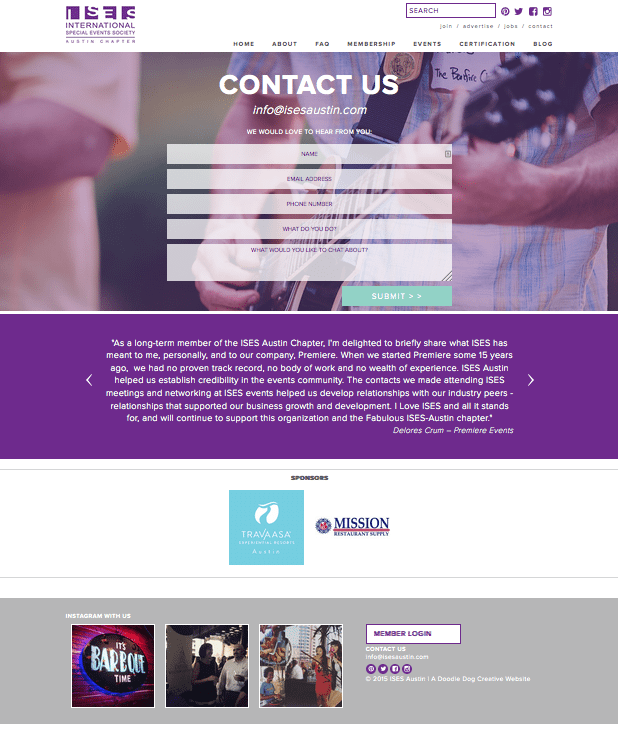 Austin needed a better platform to display all of their events, keep members up-to-date with happenings and of course provide membership information and more. 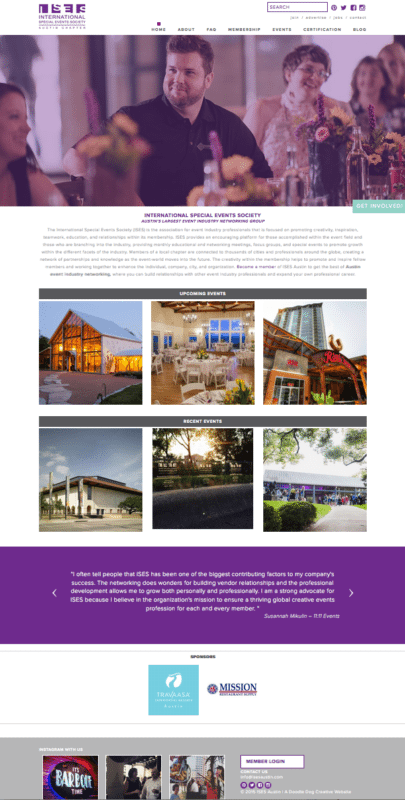 Take a look at the sleek new responsive design below, or stop by and visit isesaustin.com!